Chinese authorities have been requesting residents of East Turkestan to hand in their passports to the police by February 2017, as part of ongoing travel restrictions in the region. In Shihezi, authorities have been requesting passports alongside “biometric data”, explicitly stating that whoever refuses to give this information by the deadline will suffer consequences, whilst in Manas, residents were only told the passports were being updated for the electronic passport system. The World Uyghur Congress maintains that these policies specifically target the Uyghur community, whom the Chinese authorities have been labelling as terrorists. These policies however have a significant impact on the residents of the region to travel overseas for the foreseeable future. Chinese authorities in the northwestern region of Xinjiang are requiring residents, who include the mostly Muslim Turkic-speaking Uyghur group, to hand in their passports to police by early next year amid ongoing travel restrictions specific to the troubled region. The Shihezi municipal police department made the announcement, which comes after similar orders were issued in Xinjiang's Ili prefecture in April 2015, in a statement posted to its official social media accounts. "Please hand in your passports for annual review at the police station in the district of your household registration, or at the Shihezi municipal police department, after which all passports will be held by the police department," the statement, dated Oct. 19, said. "Those who do not comply will have to bear the consequences, which include not being permitted to leave the country," said the statement, which was later deleted from the popular Twitter-like service Sina Weibo, returning a "Page Not Found" message on Thursday. Last year, an April 30 notice issued by the ruling Chinese Communist Party's powerful political and legal affairs committee in Xinjiang's Ili prefecture made a similar order. It was followed up last June 1 by a directive requiring all applicants for passports and other travel documents in Ili to supply a DNA sample, fingerprints, a voice-print sample, and a 3D body scan image. The Shihezi rules appeared to be very similar, also requiring "biometric data" to be lodged with police before an application can be processed. "All applicants for passports will in future be required to present themselves at their local police station for the collection of biometric data, before obtaining a form from the police entry and exit bureau," it said. An employee who answered the phone at the Shihezi police department entry and exit bureau on Thursday confirmed the new rules, saying they are currently being rolled out across the Xinjiang Uyghur Autonomous Region. "The official deadline for passports to be handed in ... is Feb. 16, 2017," the employee said. "The policy applies across the whole of the Xinjiang Uyghur Autonomous Region." RFA's Uyghur Service found that in addition to Shihezi, several other local police departments in the Uyghur region, including Manaz, Kumul and Mindong, had issued orders for passport holders to return their documents. In Manas, meanwhile, authorities told RFA they had stopped issuing new passports on Oct. 10 to make way for an electronic passport system update and they gave no date for when passport issuance would resume. Munich-based exile World Uyghur Congress (WUC) spokesman Dilxat Raxit said he believes the new rules are still designed to target Uyghurs, who have been portrayed by Beijing as potential terrorists after a wave of violent incidents hit the region following a crackdown on an initially peaceful protest in the regional capital, Urumqi, in July 2009. 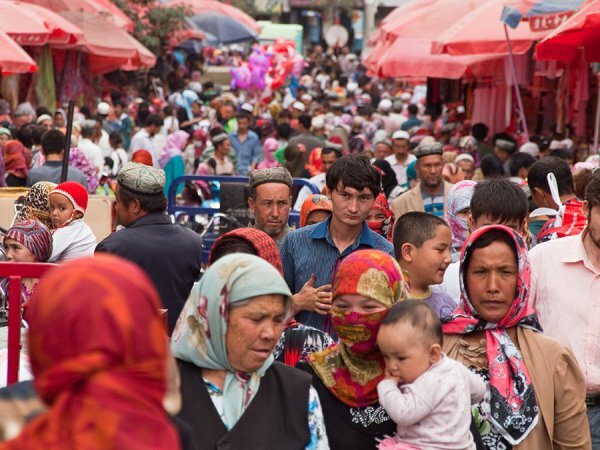 "It's fairly clear that this policy, while appearing to apply to everyone, is actually aimed at Uyghurs," Raxit told RFA on Thursday, adding that the majority Han Chinese population had "become victims" in the process. "The confiscation of people's passports reflects the hostile attitude of the Chinese government," Raxit said. "I hope that this extreme policy will attract the attention of the international community." WUC Secretary General Dolkun Isa told RFA that ever since China claimed last year that they had simplified the passport application process, "we had reports that the people who need passports badly were rejected, but the people who do not need passports or who cannot go anywhere were given passports." In most of China, residents are able to get a passport by filling out an application form and supplying their national ID card. A resident of Shihezi told RFA on Thursday that the new rules had made life far less convenient for local people. "I'm a little reluctant to hand in my passport, because now I'll have to get it back off the police if I want to leave the country," the resident said. "We all know that these new rules are necessary, but there's a lot of complaining about it, because it's a lot more hassle." He said that passport-holders wishing to take back their passports from police before travel are required to make the journey in person. "This is going to inconvenience a lot of people here," the resident said. Ilshat Hasan, president of Uyghur American Association, told RFA the passport policy signaled a harsh approach to Uyghur communities. "I don’t think this policy will bring any benefit to the region. This will increase resentment and resistance in the region and this kind of harsh policy will create a large-scale exodus, as people will try to escape by different means," he said.